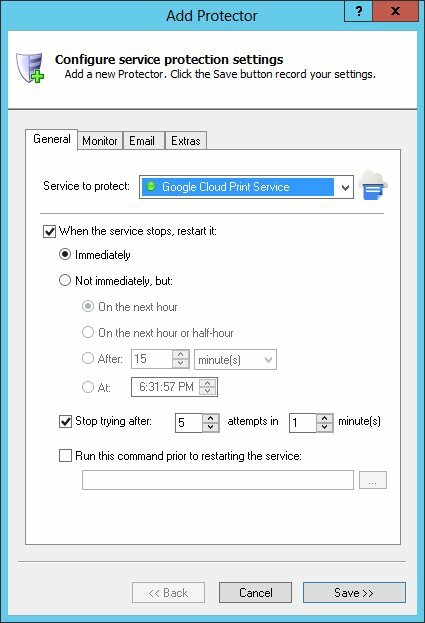 Automatically restart the Google Cloud Print Windows Service when it crashes or stops for any reason. Ensure that your printer is always available to your devices, with zero downtime! Google Cloud Print gives you access to your PC's printers from any device. It runs in the background as a Windows Service. Using your Chrome browser, download, install and configure Google Cloud Print, if necessary. On the General tab, in the Service to protect dropdown, choose Google Cloud Print Service. You will notice a green circle on the left if the Google Cloud Print service is already running, as pictured below. Click the Save >> button. 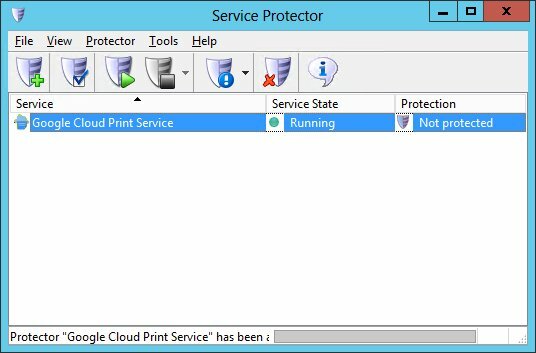 In a couple of seconds, an entry for Google Cloud Print will show up in the Service Protector window. Google Cloud Print is probably already running but it is not yet being protected by Service Protector (as pictured below). That's it! Next time your computer boots, Google Cloud Print will start and Service Protector will begin monitoring the service to promptly restart it if it fails. 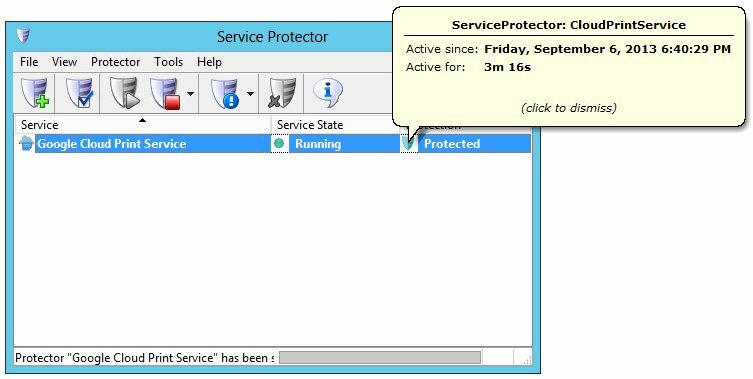 Note that Service Protector has many other settings to ensure that the Google Cloud Print Service operates smoothly. For example, send an email when the service fails, restart Google Cloud Print periodically to keep performance snappy, and much more. Check them out! 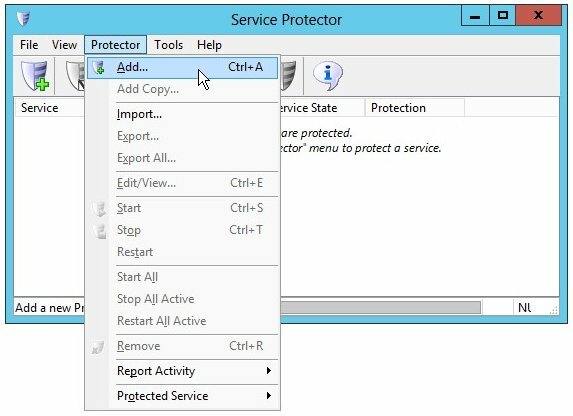 Trouble protecting the Google Cloud Print Windows Service?